At the same time, I am a bit leery of specialized survival tools. Actually I think that this item is mis-named. Most people would consider a Tomahawk as a fighting tool, and certainly Gerber’s could be used for one. But this item should be described more aptly as a tool, because it was designed as one. I first became interested in this item after reading reports of Marines using it as a lightweight breaching tool in Iraq. As a former infantryman, I appreciate the concept of lightweight. When considering potential items for my bug out bag, lightweight is still an important consideration. 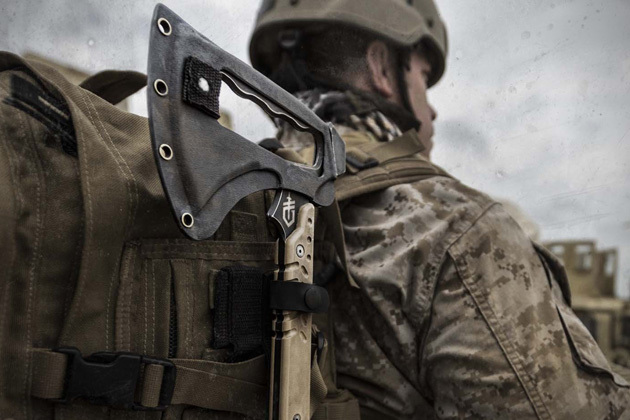 This hawk combines ax head, hammer, pry bar and nail puller into one package that will attach to either a belt or MOLLE compatible gear. It’s overall length is 19.27 inches and weighs in at 1.9 pounds, 2.5 pounds with sheath. The blade is made from 420HC steel and the handle/pry bar G-10. The ax head is cut out and serves as a grip when using the pry bar. All of the test report I have read from both military and police sources indicate that this is one tough tool. It also comes with Gerber’s lifetime warranty. But this hawk is no cheap date. At over $200.00 on Amazon, I feel it is a bit pricey. Could you accomplish the same things with cheaper separate tools? Sure. but then again they would weigh more. If you can afford it, I think this would be an excellent combination hand ax and multi tool for a bug out bag. But I also think it would be an excellent tool for the urban survivor who is on the move, weight conscious, and will need to do a bit of creative breaking and entering to survive. Whether this hawk is a winner for your preps, only you can decide. I guess you’d have to get a few items to review before other companies are willing to send a product. Which begs the question, how do you get those first couple of items to review in the first place? I’ve been lucky with a couple of companies, but I guess I’m not a superstar blogger. All I did with mine was just ask. Never hurts to try. I’ve been watching the development of this ‘hawk for a few years and I’ve begged Gerber for a chance to review one. No joy. I have often wondered how the advertising system works in Prepper World. 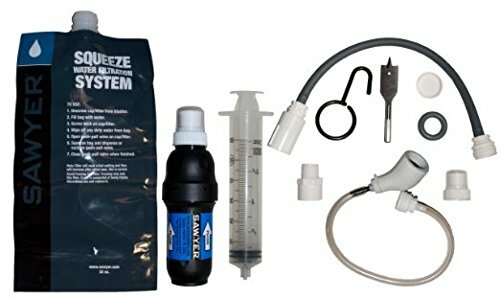 I have noticed that many prepper blogs which seem to get less hits than mine have advertisement and free test samples out the yang. So far no joy for me either. I suspect it has a lot to do with personal networking. A friend who was a Ranger Staff Sgt when he did multiple tours in Afghanistan carried this tool,although his looked a bit more used than the one pictured. It is effective at breaching non reinforced doors,we played around with it at an abandoned motel another friend owned,and it did just fine opening locked steel motel doors. From what I was told,lots of guys used this tool in Afghanistan. I would love to have one,but can’t afford the 200 bucks right now-trying to save up the $$$ to move out of Ohio. All of my sources indicate it is highly valued in the military. Would like to have had one in Nam.